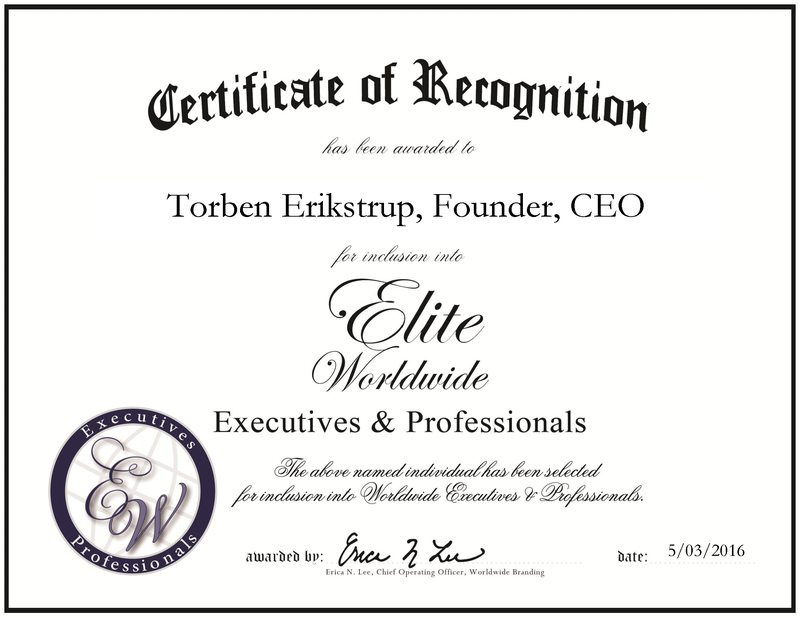 With nearly five decades of experience, Torben Erikstrup excels at working with clients, acting as technical consultant and overseeing strategy, business plans and new business development and operations. Possessing in-depth knowledge on logistics, planning, engineering and leadership, he applies these skills to the shipping industry. He started his company, Etanord ApS in 2000, and pulls upon his experience working in high-level positions at more than eight companies in the shipping industries. Mr. Erikstrup earned a bachelor’s degree in architecture and marine engineering from a university in Denmark. He built his success on his eagerness to do something special, and his ability to work with employees at every level. Etanord ApS is a company that provides technical consultations for residential and commercial construction for the transportation and shipping industries. The company also works toward achieving engineering solutions. In the coming years, Mr. Erikstrup intends to continue on the same road and leave a legacy for his children.